Home // Welcome to Indianapolis! Indianapolis is one of the most popular U.S. capitals, filled with a variety of local attractions to keep you busy during your stay. 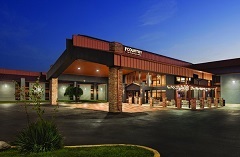 The Country Inn & Suites® by Radisson, Indianapolis East, IN is centrally located, ideal for helping you get to all of the top area attractions with ease. You can begin your day with our free, hot breakfast and stay connected with our complimentary Wi-Fi. In the summer, enjoy our outdoor pool and wrap up your day next to the outdoor firepit. Here are some of our staff’s favorite attractions! Book today to save on your next trip to Indianapolis! Available for stays from December 13, 2018, to December 31, 2019.